NEW ALBUM! 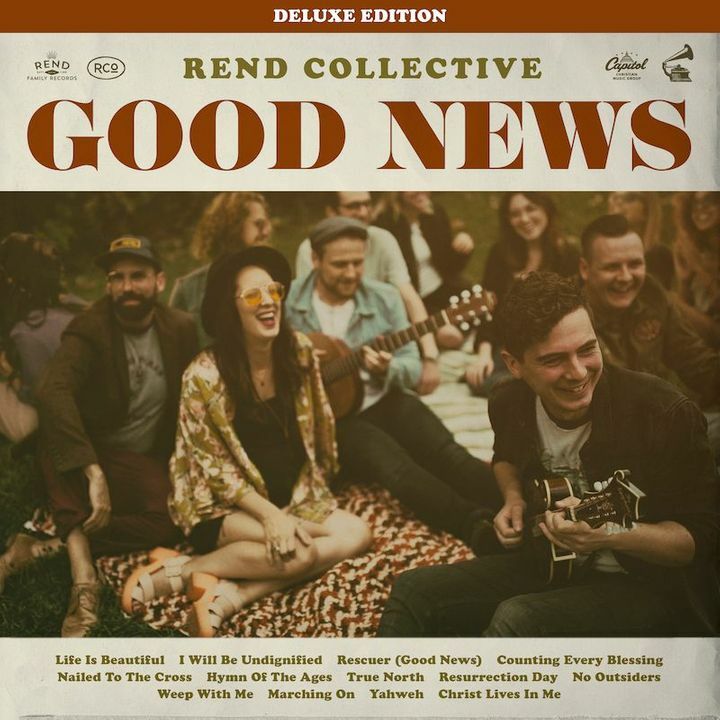 The Good News Deluxe edition is out TODAY! It includes BONUS MATERIAL featuring live and acoustic versions of some of our favourite songs, such as “Rescuer”, “Counting Every Blessing” and many more. We were all blessed that they included us in Tucson to share "The Good News" of the gospel and worship in song! They are great and talented messengers and I pray for their continued missions. I was so looking forward to seeing RCo after hearing them on the radio and they seriously didn’t disappoint. What a great performance for God with a really great mix of Irish roots and contemporary Christian music. I can’t wait to see them again !!! Great show. The only thing that could have made it better would have been to have seats on the floor that weren't so squished together. It was very uncomfortable for having a VIP package. One needed to be a real skinny person to comfortably fit. Rend Collective was AMAZING!!! I truly enjoyed them and like them so much more now that I've seen them live! They were so much fun! It was such an amazing night of worship and celebrating Jesus I will be going to many more. So thankful that I had the opportunity to go for my 16th birthday!! Magnificent!!! I would definitely recommend watching them live if you ever get the chance. There music is great on their albums but seeing them live is more than worth it!!!! !